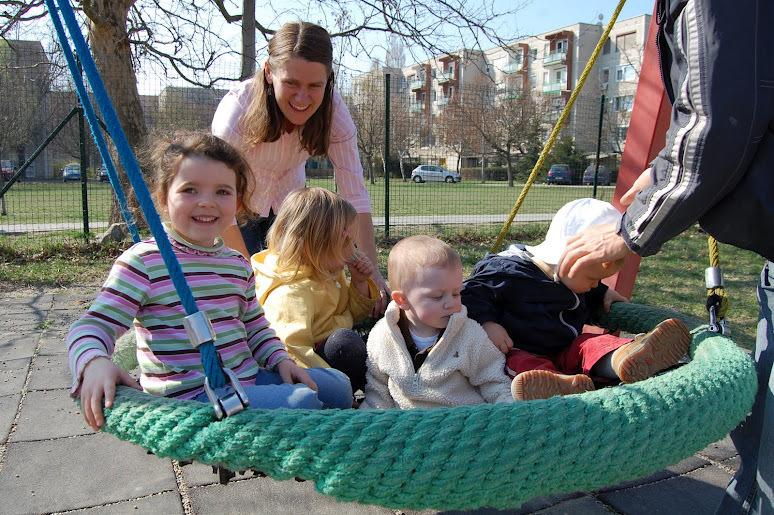 Alice sent me some wonderful pictures from her visit to Em in Budapest which bring back beautiful memories! The first is buying bread. Oh, the bread of Hungary! The breads of Austria and Germany and all Europe, really….In some places we lived next door to little bakeries where we bought our bread or rolls fresh every morning. 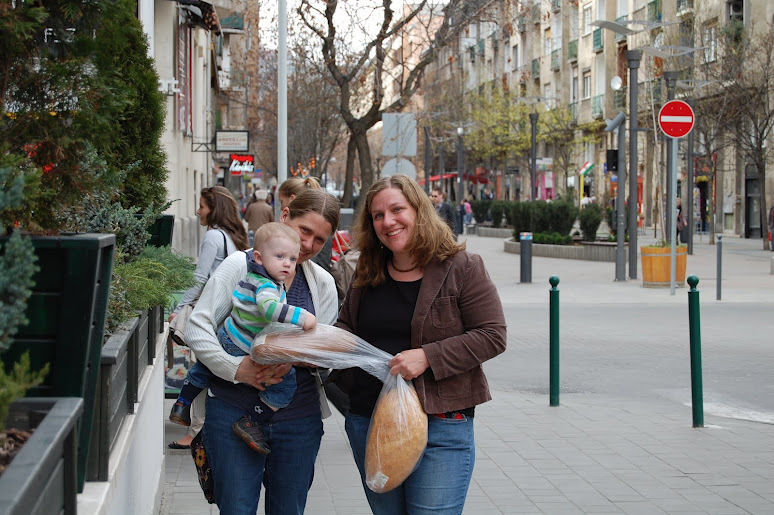 In Austria, the baker delivered them to us before breakfast every day except Sunday! So beyond delicious. I think Stephen likes them too…. 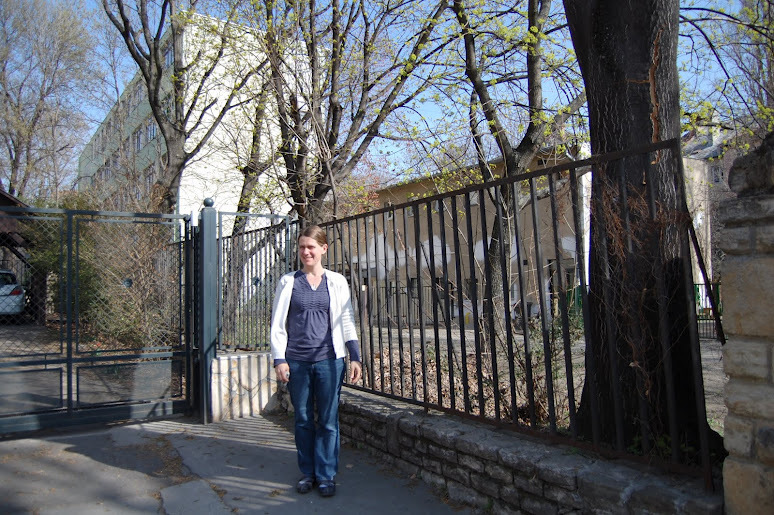 Emily and Alice went in search of the Aga Utca Elemi Iskola (Aga Street Elementary School), the school they attended during our 1984 sabbatical. It is no longer a public school and they had a bit of a search, but finally located it. “Aga” is an Ottoman title and reminds us that Hungary was occupied by Turks for 150 years. But now Turkish restaurants are quite popular…….. 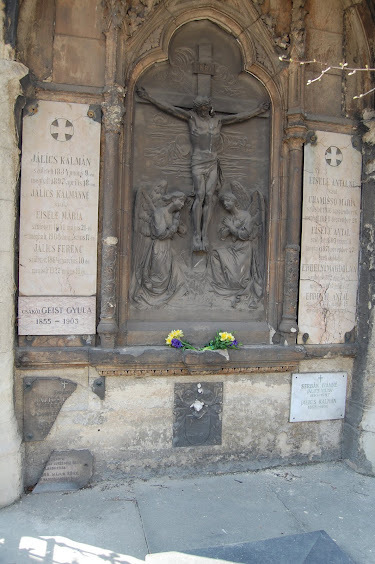 They also visited both family tombs in the Kerepesi cemetery with their Aunt Isa, and left flowers there. 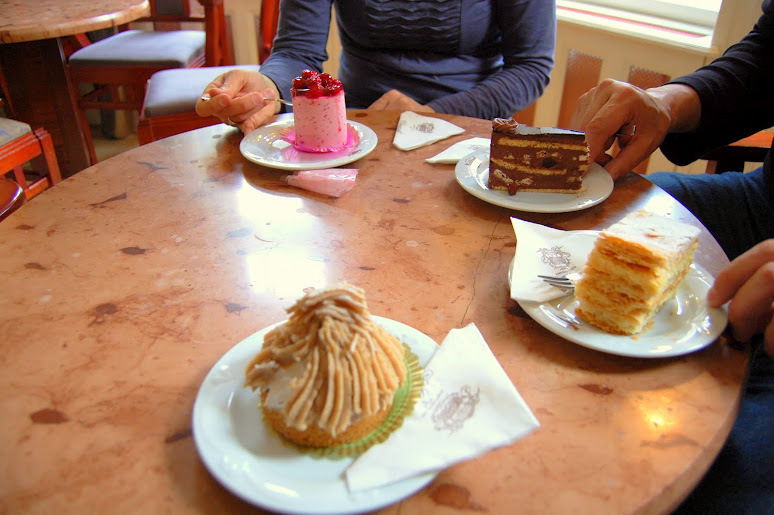 And they went to the Cukraszda (pastry shop) often for afternoon refreshment. Hungarian cukraszda are famous for the delicious things they serve. This picture is from the Auguszt Csukrszda established in the 1700s. 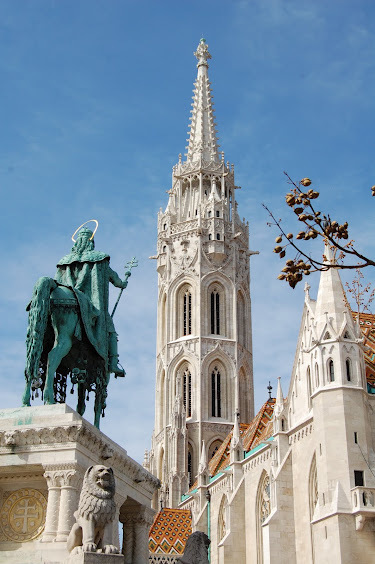 They visited the Var Hegy (Castle Hill) and my favorite church in the world, called the Matyas Templom, although I think the real name is (translated) the Church of Our Lady in Buda. They played with cousins and had a glorious time……..I think I’ll stop now, though I have lots more photos, and just dream about my upcoming visit in May…..
At the moment I am missing my daughter Emily and my two granddaughters, Sofia and Clara and their Papa Ingmar…..They are pretty far away at the moment……..Well, they are living in Budapest, but just this little while Emily was giving a talk in Berlin and the two girls and she took a night train there. I’m waiting to hear how that will turn out………. 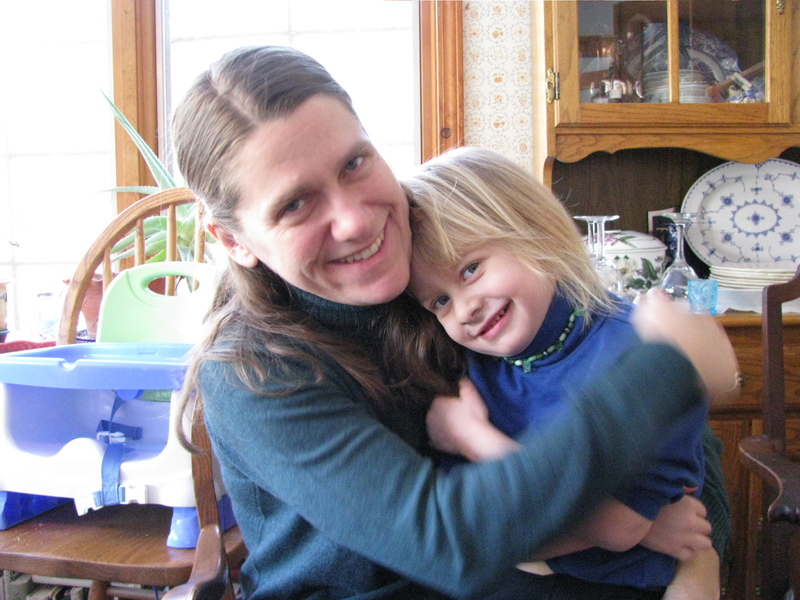 Alice, my oldest daughter is going to Budapest on March 22nd with her son Stephen for a good week of visiting and I’m leaving May 2nd and will not return until the 16th, but at this moment, I really miss all of them…. And I hope they can get to Chautauqua sometime in the summer……..And I can visit them, perhaps flying into D.C. or Baltimore…….. 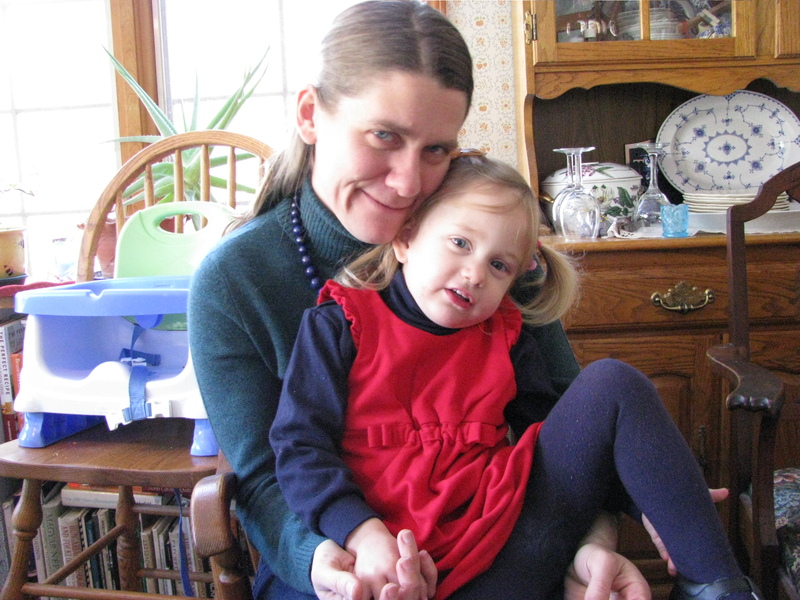 But just this evening, I miss them all very much and looking at old pictures is very nice. 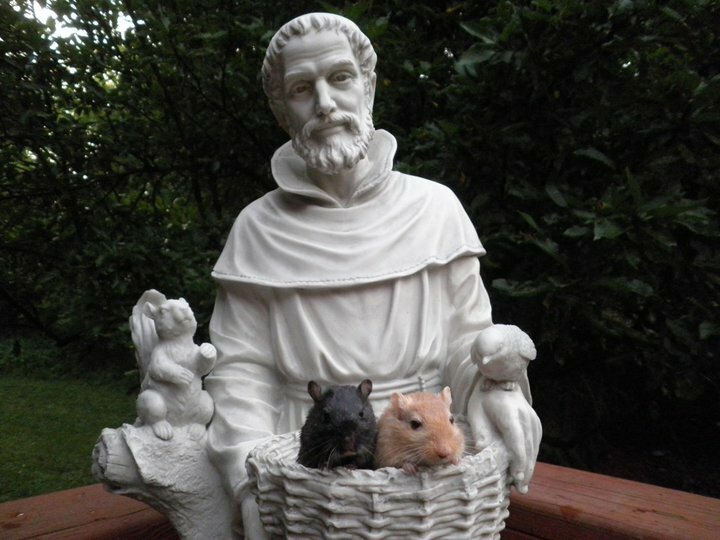 This picture of my son’s two pet gerbils, Master Tesla (black) and Marconi (blonde) was taken last summer when he posed them in a new St. Francis statue I’d bought after racoons destroyed the previous one. Today, when Andy came home from work Marconi, whom we think was about three and a half years old, had died. He fell a few days ago, but seemed to be recovering. But we were mistaken. He has left us, but probably more sadly, left Tesla. Gerbils are very social animals and now Tesla is alone, and probably too old have a new animal introduced to his cage. We do love our pets, they are living creatures and become part of our families. They have their own individual personalities. We will miss Marconi who was a little wild and crazy at time and “sketchy” as Andy called him. We’ll miss him very very much. Feeling a Lot like Spring today! A week ago the yard was covered with very pretty snow, thick over everything, including the blooming snowdrops which I hoped would handle well this return to the kingdom of Coldness. And so they did….Today, the first day of daylight savings time (It’s 7:46 but still not really dark yet, just twilight) we enjoyed intense sunlight and temperatures in the sixties (Fahrenheit). I love spring! 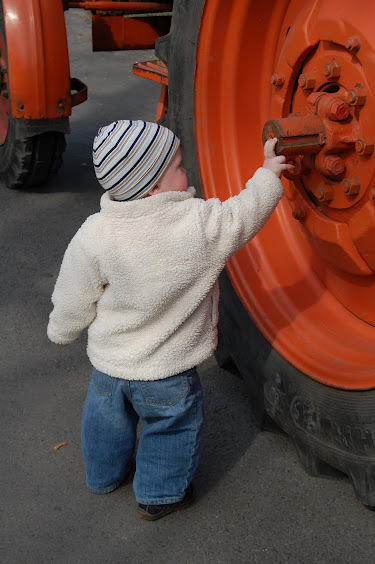 I remember years, the 80s and early 90s, when my knees were in great shape and I was planting like a maniac and reading gardening books every spare moment and walking about the yard five or six times a day to see what had changed since the last look. And at this time of year, often a lot has changed. 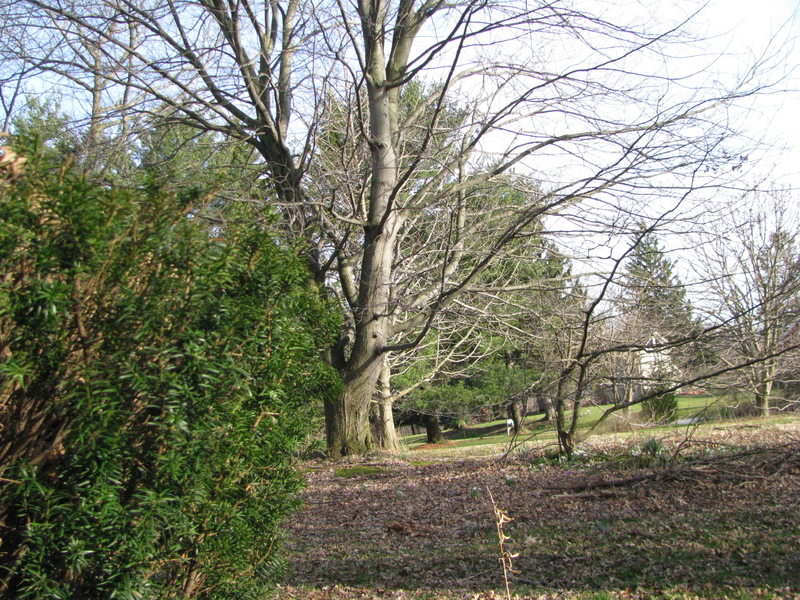 Of course, I’m really talking about a little later, in April rather than mid March, but I am again able to walk about the yard and look at what’s happening without arthritis pain, and I love it. I still need to build up a lot of stamina, but I see it improving, week by week…. 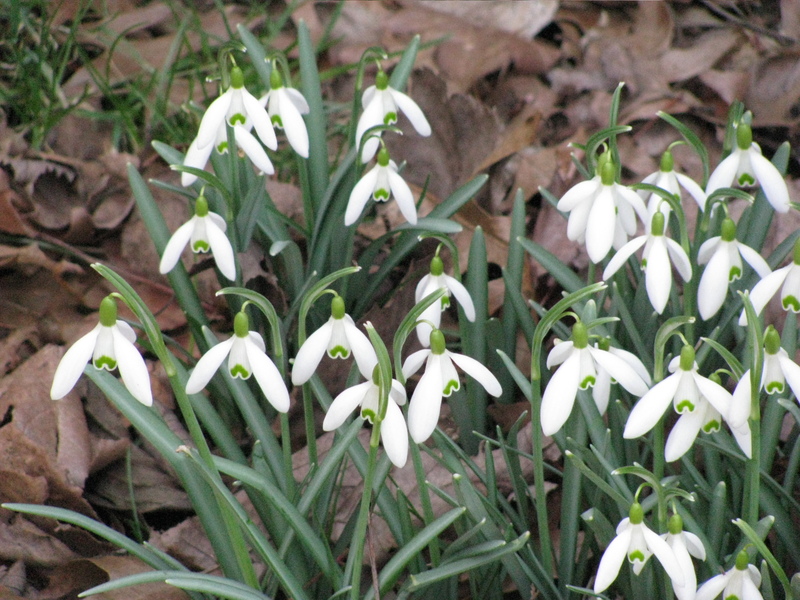 You’ll notice pictures here of lots of snowdrops all around the garden, early crocus, dark purple Helleborus (Lenten Lilies) and white with the creamy one just coming into flower. 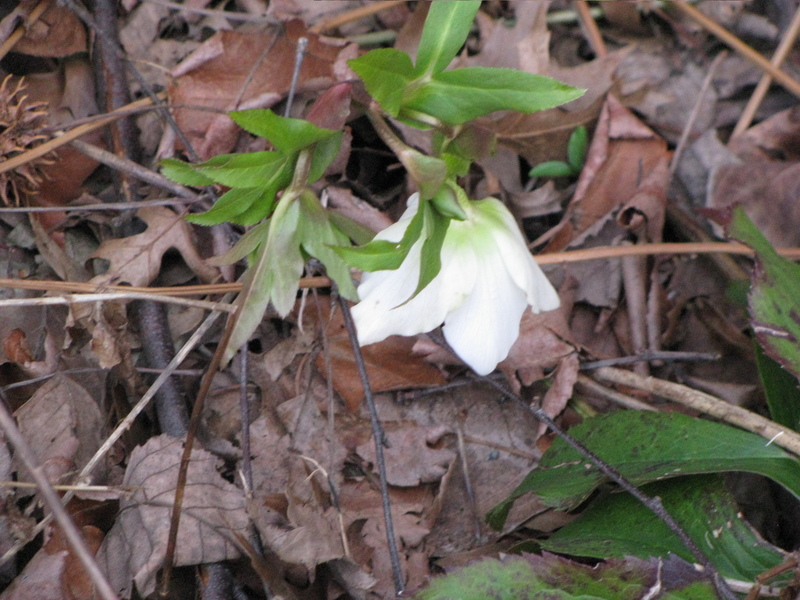 I like to have lots of white blooming plants because the early bees need food, and they like the white plants very much. 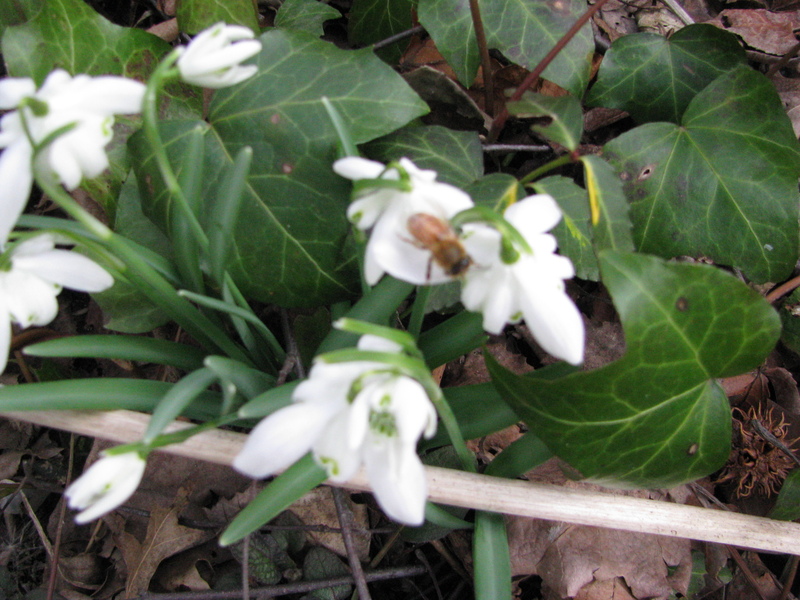 There is a little bee on one of the snowdrops I photographed. I do love all the promise of this time of year! It’s a time to count blessings. 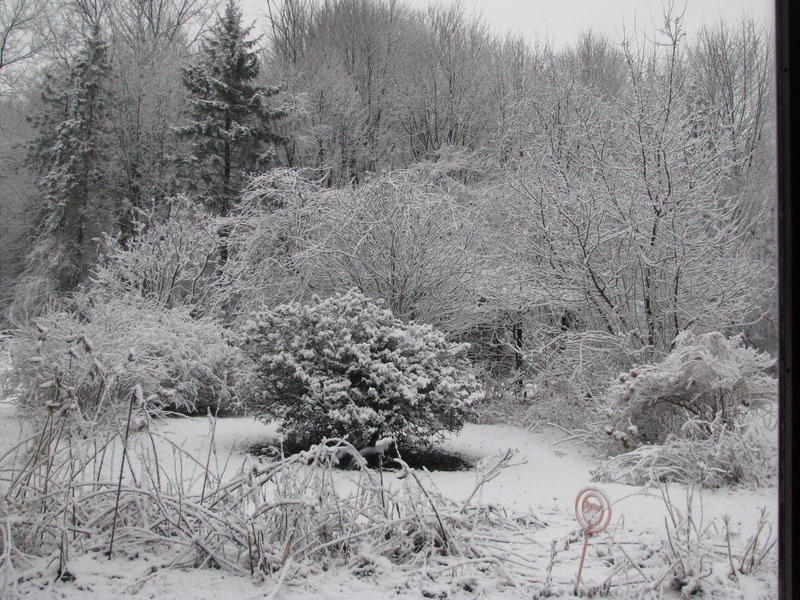 The snowy winter wonderland picture is what my back yard looks like today, with my snowdrops blooming underneath their white blanket. 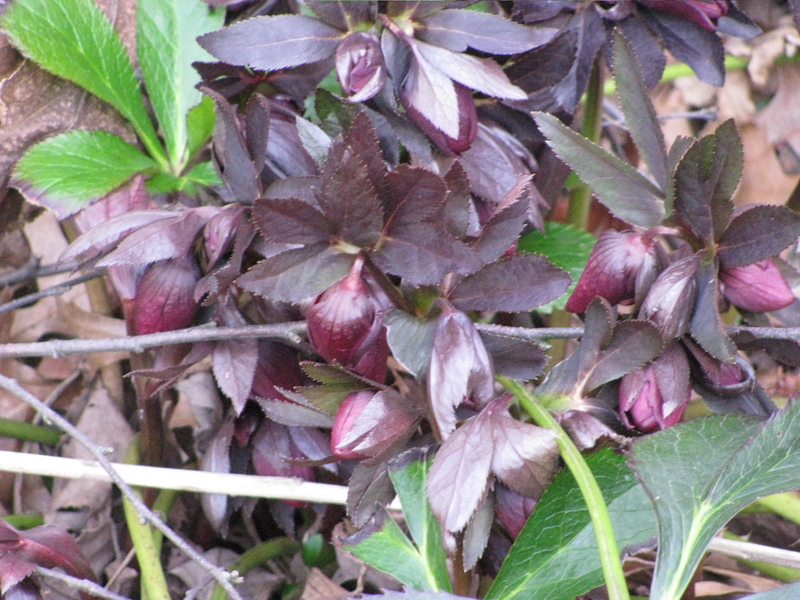 It’s really three or four weeks too early for them to bloom here in northeast Ohio, but we have been having a very odd winter with spells of quite warm and sunny weather between blizzards, and the plants are…………confused. 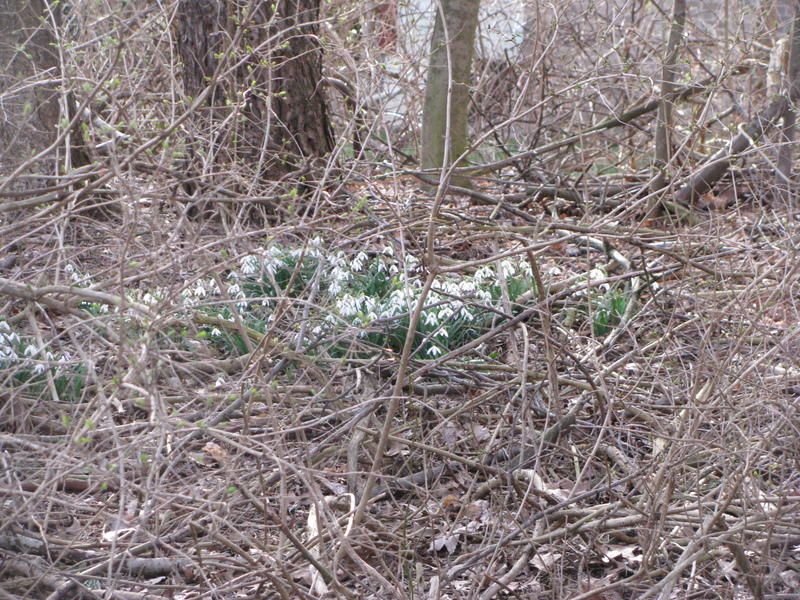 I hope when the snow melts away they will still be in good shape! 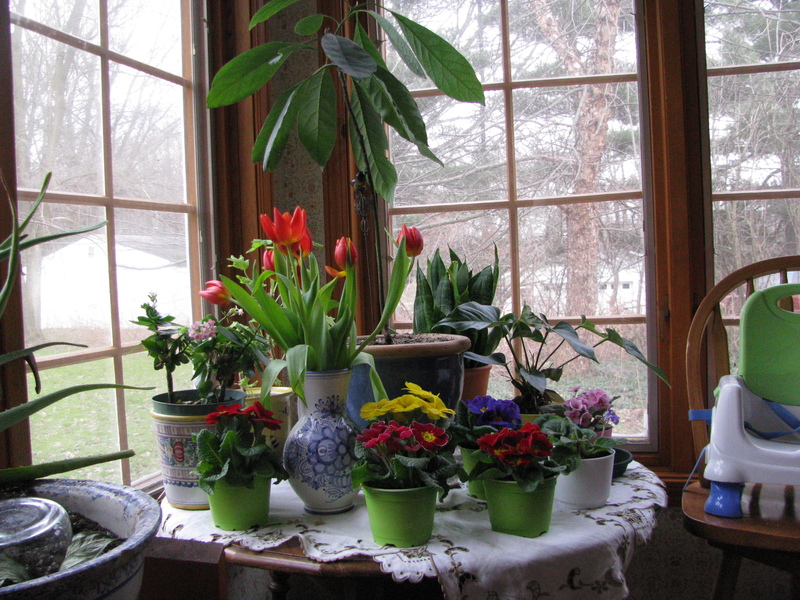 Meanwhile, I am making a corner of spring time for myself on the useful little table that holds our Advent wreath at some times of year, and special desserts and delicious food when the family is gathered for feasting. 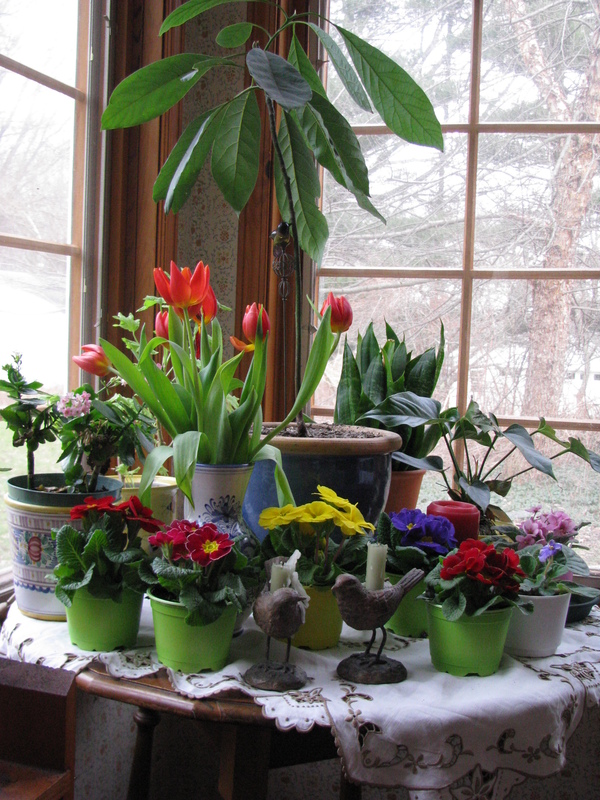 I arranged all my flowering plants (our grocery store had five primroses for five dollars and I went a little mad though justifying it because they are perennials and can be planted out in the garden when real spring arrives!) and then added the bird candle holders to make it feel even more springlike though the snow had returned in force. I have to admit that I always love to sit and watch the huge snowflakes softly float down while I’m warm and comfortable inside. 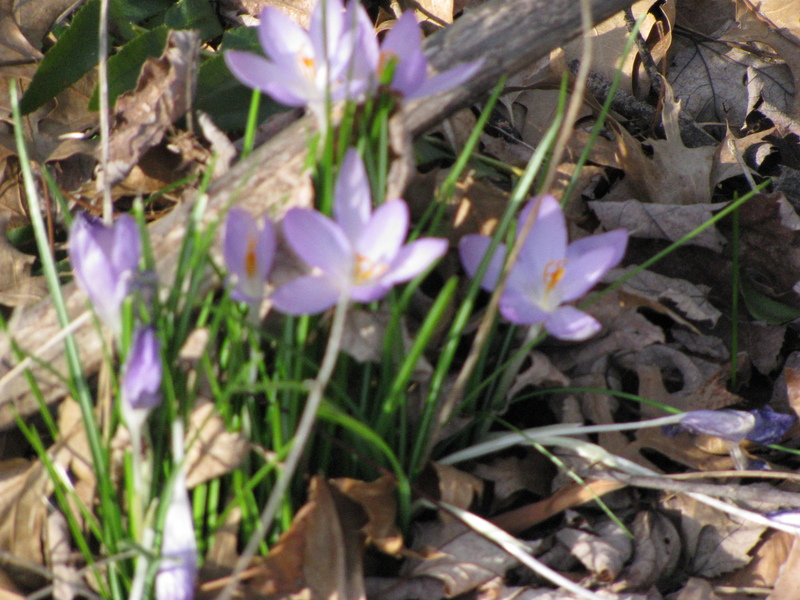 But what would really make me happy would be an early and long spring which some are predicting for us.